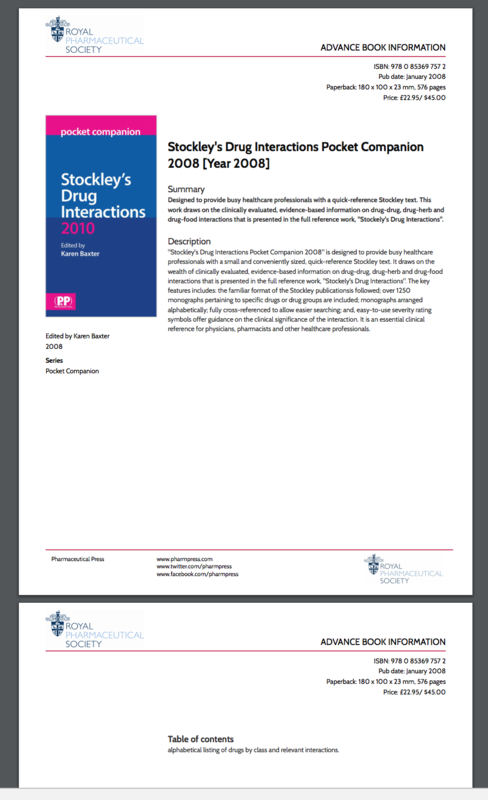 Here is an example of an advance information PDF generated using the ‘Pharm’ template. This help page is only relevant to users at Pharma Press as this is a proprietary design. Click the Edit link. You see the logo on the edit page. If there is an entry in the Published in association withs area, this section appears and the list is printed preceded by Published jointly by .